At Glenbar Gin, we do everything we can to maintain the quality of the cotton that we process. Each shift is managed by a National Cotton Ginners Association Certified Ginner. Our permanent employees take USDA, NCGA and other ginning classes every summer to stay up-to-date with current practices. Every summer, our gin is completely disassembled and cleaned, so that we can keep our equipment in excellent working condition. We invest in new equipment every year to make sure our operation is dependable and stays up to date. For the 2007 season, we added a new strapping machine that has increased our bale production to 500 bales per day. In earlier seasons, we added a module feeder and also a humidifier. 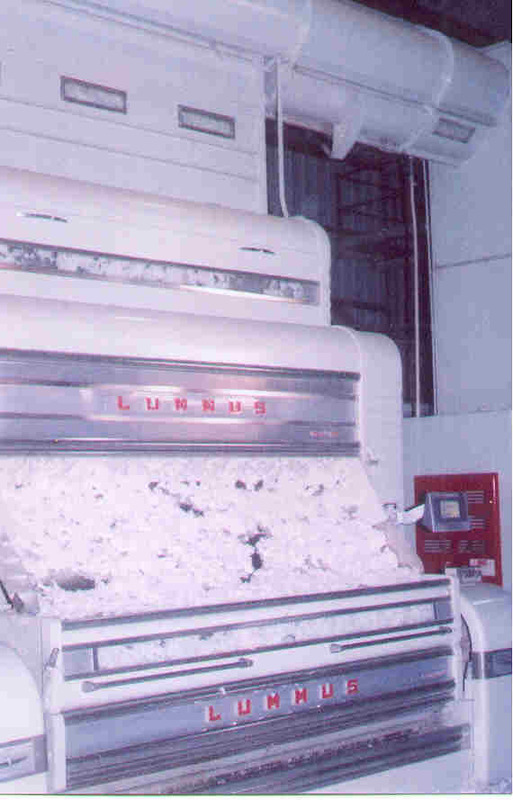 HIGH SPEED ROLLER GINNING IN A COMMERCIAL GINNING PLANT. PREDICTING SEED COTTON MOISTURE IN THE OVERHEAD OF A GINNING PLANT. Our commitment to quality does not stop at ginning. Every season, we also analyze our classing data and research new cotton varieties, so that we can advise growers on what varieties to plant for the next season.